GDP growth in Serbia increased to 2.8% in 2016, at the fastest pace since 2008, and is set to increase to 3.2% in 2017 and 3.6% next year. The Forecast revises upwards projections of Serbian growth in 2017 and 2018 by 0.2 and 0.3 percentage points respectively. Fiscal reforms are bearing fruit, with 2018 set to mark important milestones in this regard: A fall in the public debt to under 70% and a small fiscal surplus of 0.3%. The growth is set to be a result of heightened consumer spending. “Continued gains in employment and higher income, in particular in the private sector, together with increasing consumer lending and the preservation of the overall macroeconomic stability should underpin the envisaged strong rebound in household consumption,” the Forecast says. 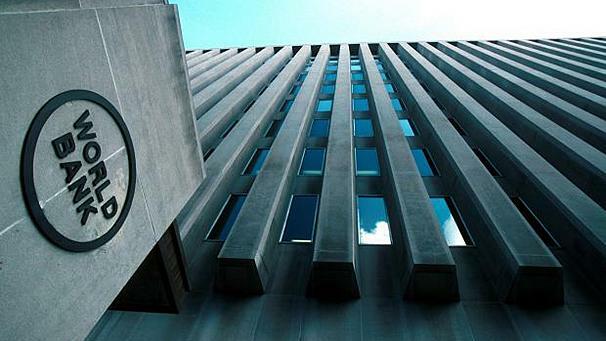 The European Commission states that Serbia’s exposure to capital flow reversals and a divergence in monetary policies of major central banks, as well as geopolitical changes including in the region, are threats. Domestically, risks include the pace of economic reforms and maintaining a proper policy mix for growth. Following a period of lower than targeted inflation, Serbia will see its consumer price index rise from 1.1% to 3.4% in 2017 and 3.5% in 2018. While the Serbian government has been repeatedly applauded for reforms leading to fiscal consolidation and enabling growth, recently published statistics tell a very different story about the tough reality still faced by Serbia’s citizenry. 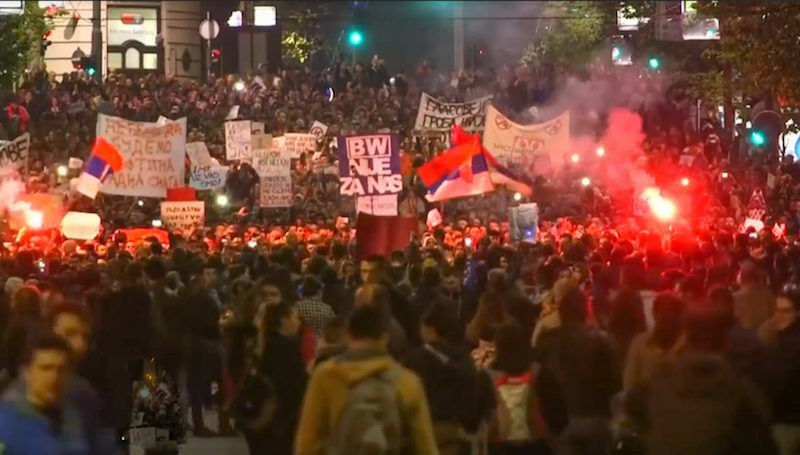 Ten days of protests against Serbia’s election results continued on 13 April, with Prime Minister Aleksandar Vučić minimising their importance, and the opposition saying that the political system needs changing. EURACTIV Serbia reports. As published by the Serbian statistical office last month, the average net revenue of Serbian households in 2016 amounted to 59,624 dinar (RSD), or €485 a month according to the general exchange rate for 2016. Coupled with government data on consumer spending, it appears that Serbian households are missing an additional 8,000 dinars (€64) needed to provide a decent standard of living. Reports of poverty and social inequality show that the lion’s share of personal spending goes to food and soft drinks (34.9%), and housing, water and fuel (16.7%). One in four Serbians is at risk of poverty (25.5%), which in Serbia means living with a monthly income of 27,748 RSD (€225) for a three-member household. 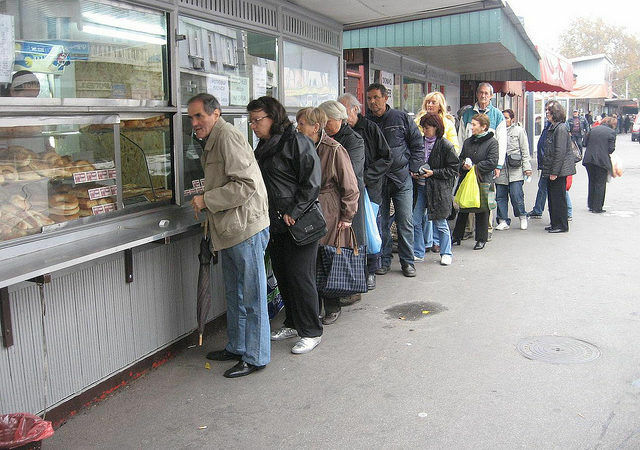 Data on material deprivation shows that 62.8% of Serbs live in households unable to cover expenses for a weeklong holiday away, one in two cannot cover an unexpected expense of 10,000 RSD (€88), while one in five cannot afford meat or its vegetarian substitute every other day. Despite the better labour market dynamics praised by the European Commission, the unemployment rate remains high, with a projected 13.1% this year and 11% in 2018. The general feeling in Serbia is that the job market doesn’t provide enough opportunities. Median salary data isn’t published in Serbia, and while the average net salary is 47,814 RSD (€386), it is widely believed that it is much lower.